When will be VeggieTales in the House next episode air date? 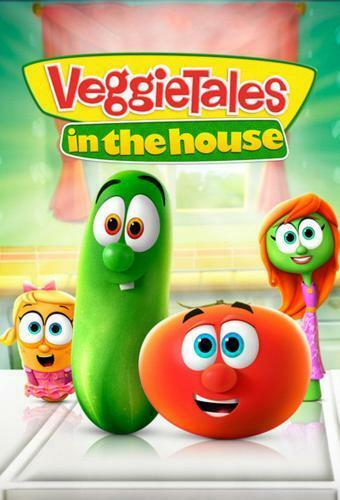 Is VeggieTales in the House renewed or cancelled? Where to countdown VeggieTales in the House air dates? Is VeggieTales in the House worth watching? VeggieTales in the House is an American computer-animated television series produced by Big Idea Entertainment and DreamWorks Animation Television. It takes place outside of VeggieTales, a Christian-themed video and film series, featuring anthropomorphic vegetables. The series was executive produced by Doug TenNapel, creator of Earthworm Jim. The series premiered on Netflix on November 26, 2014. Three seasons of the series have been ordered, consisting of a total of 75 22-minute episodes. A fourth season was released on September 23, 2016. A spinoff series titled VeggieTales in the City will premiere February 24, 2017 on Netflix. VeggieTales in the House next episode air date provides TVMaze for you. EpisoDate.com is your TV show guide to Countdown VeggieTales in the House Episode Air Dates and to stay in touch with VeggieTales in the House next episode Air Date and your others favorite TV Shows. Add the shows you like to a "Watchlist" and let the site take it from there.